The world wide web. For some of us, it is our playground – we operate well, we are popular, and we are comfortable there. For others, the internet is a fear-inducing place, full of hard-to-understand concepts and elements that are just downright confusing. No matter what your background though, the world today is operating through social media. Viral videos make the rounds in hours, rather than days, and social media is at the heart of it all. Many of the large corporations and companies devote entire teams to manage their social media accounts. Writers and social media experts pore over the internet to find marketable studies, articles, blogs, and posts that mesh with their company’s image. If you are a small to medium-sized business, especially if you are a local business, the way that you harness social media could prove monumental in terms of building awareness of your brand. The keys to utilizing social media to the best of your ability are: to speak to your audience, to express passion in the posts you make, and ultimately to establish a connection with your customer base that you can foster and grow for years to come. When considering the service(s) and/or product (s) that you sell, think about those things that are related. For instance, an interior decorator might discuss the latest developments in green housing, or a tree trimming business might discuss some general tips for tree management. You want to find that segment of the world that relates to your business, that your customers would find interesting. Develop a blog that discusses news in your industry, and sprinkle in posts that highlight new products you are debuting. Retail websites, restaurants, online stores, and travel websites can all benefit from image-based social media platforms such as Instagram and Pinterest. It is here that you can share your latest offerings, be it food, clothing, accessories, or new attractions to generate more interest ahead of the true release. The opportunity for social interaction is ripe for the taking. Numerous companies have improved their image simply by responding to a twitter follower or a Facebook user – be it in a clever, useful, funny, or memorable way. This brings us to our next point: build a lasting relationship with your audience. This happens when you post regularly, develop a running narrative, and maintain a certain tone. 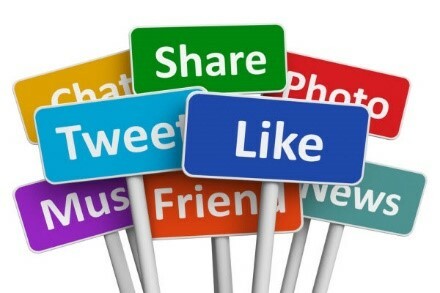 Appeal to your audience in your social media posts: links to articles with further reading about a topic related to your company, blog posts that specifically address the needs of your customer base, and pictures of your latest store offerings. Do you want to increase your presence online? Are you looking to develop your social media platform on multiple platforms? Local company owners are especially known for their hard-working attitude. This, coupled with a dearth of time, can leave you unable to properly promote your brand and interact on social media as you would like to. That is where we come in. With Captain Marketing, we take the reins, and with your guidance, help make your social media pages and website the best they can be. Visit us online today for a free evaluation!